Assess your personality strengths and weaknesses in under 12 minutes. Assess your personality strengths and weaknesses in just 12 minutes. Try it for Free. With GoTalent, you will get valuable insights into a candidate’s job personality traits and character in just 12 minutes, helping you to make the right decision when it comes to selecting candidates for interview. All you need to do is install the GoTalent app, have it sent out invites to your candidates and see their test results appear in your app for review! 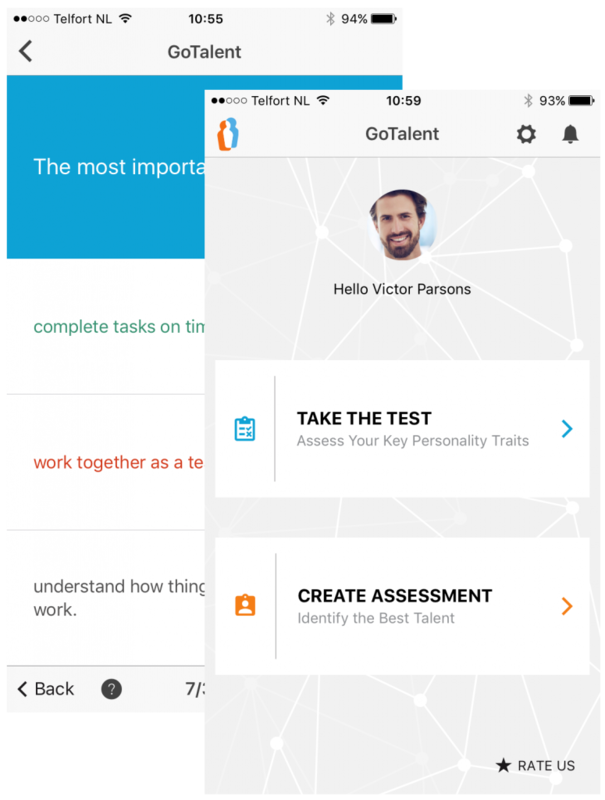 GoTalent helps you discover your key career personality traits for FREE! The questionnaire assesses 17 personality traits, including 5 key Leadership traits, in 32 questions and just takes 10-12 minutes. The GoTalent questionnaire is a psychometric tool used to assess individuals by evaluating their key job personality traits. Whether this is for recruitment or team analysis and development. GoTalent is tailored to recruiters, talent managers, hiring managers, entrepreneurs or CEO’s looking to identify and develop the best talent for their organisation. Every HR professional knows that personality is a key driver when it comes to performance. GoTalent’s psychometric engine measures a host of key job personality traits and character qualities that can help you make the right decision when it comes to selecting candidates for interview. GoTalent evaluates these 17 key personality traits to help you identify the best candidates in the early stages of the recruitment process. Whether you’re a recruiter or a candidate, GoTalent is easy to set up and intuitive to use. Simply input the names and email addresses of applicants you want to test and the app does the rest, automatically sending out invites to candidates. Candidates install the app on their own device and answer a series of (ipsative) multiple choice questions to generate an assessment profile. When each candidate completes the psychometric questionnaire, you automatically receive the full personality profile broken down into a range of insightful categories. Discover your key personality strengths and weaknesses in just 32 questions. 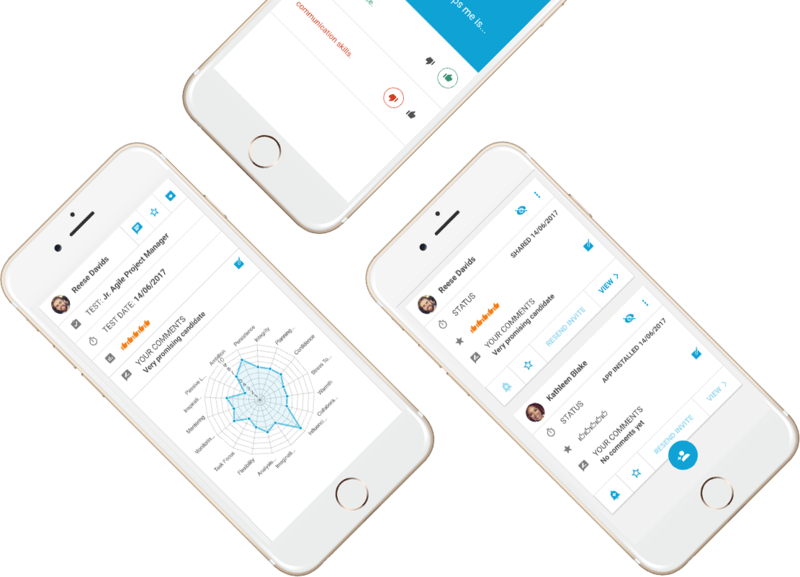 Besides setting up and managing assessments, GoTalent is also incredibly useful for job candidates who want to carry out a self-assessment of their own character traits to discover the best career options for their personality. More than 10,000 people have already taken the GoTalent test, giving it enough of a sample size to give scientifically valid results. GoTalent has been constructed to be accurate and reliable and has statistically proven to elicit consistent answers. Filter personality traits based on the position’s profile and instantly see which candidates are the best match. Assessing candidates with GoTalent is easy and takes just minutes. 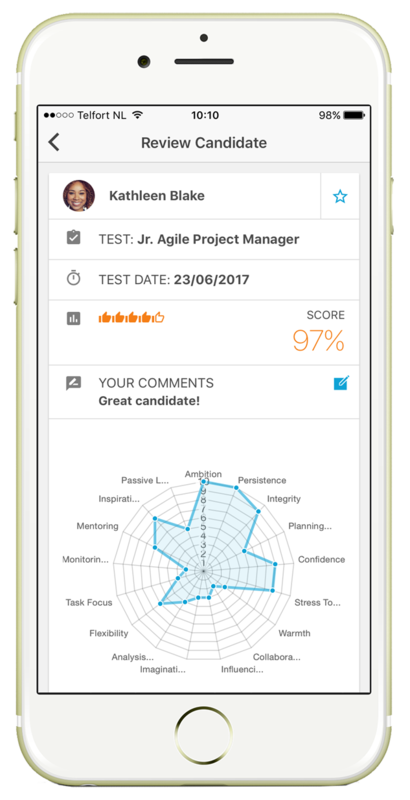 Install the GoTalent app, have it sent out invites to your candidates and see their test results appear in your app for review! Is your personality right for the job? Identify personality strengths and weaknesses of candidates, team members or even yourself in under 12 minutes. Highly accurate and scientifically validated, GoTalent is the ideal app for recruiters, hiring managers, talent managers, entrepreneurs and CEO’s. Copyright © 2017 GoTalent. All Rights Reserved.